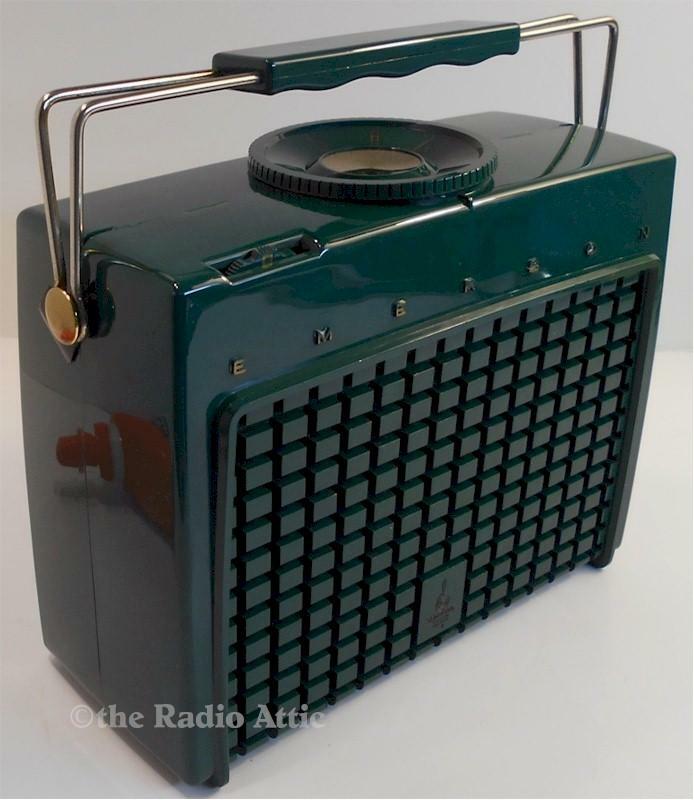 A beautiful Emerson portable radio with superb reception on the AM band with the internal loop antenna. Works on 115V house power. The batteries for this radio are no longer available. Fully restored electronically for reliable daily operation. Please review my testimonials page to get a feel for the quality work I perform. 8-1/2"W x 8"H x 3"D.
You are visitor number 3,783 to this page.